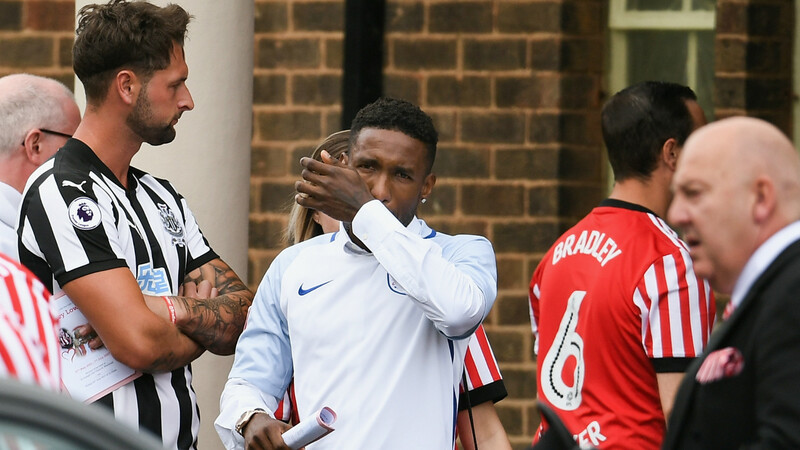 England striker Jermain Defoe joined thousands of mourners at the funeral of Sunderland supporter Bradley Lowery on Friday. The former Black Cats striker, who developed a close friendship with the six-year-old, left Bournemouth's pre-season training camp in Spain in order to attend the service in Blackhall, County Durham. 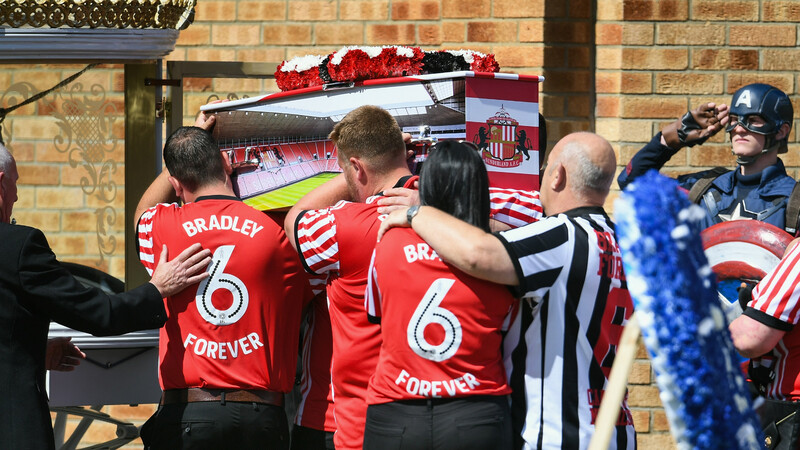 Thousands of people lined the streets and applauded as the funeral procession passed, with Bradley's coffin travelling in a horse-drawn carriage draped in Sunderland colours. 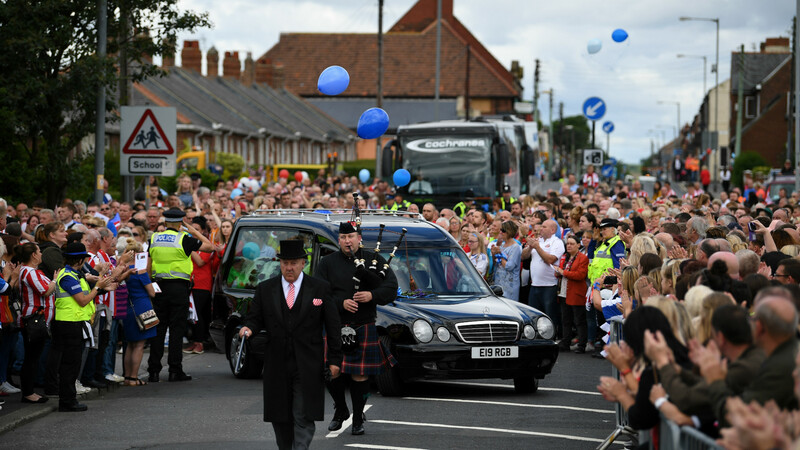 Friends and relatives walked behind dressed in superhero costumes and a variety of football shirts, some bearing 'Bradley' and the number six, while balloons were released from within the crowd. Former Sunderland boss David Moyes was also in attendance. The funeral service was held at St Joseph's Church and was "open to everyone", his family said in a statement. "Family and friends have chosen the theme cancer has no colours. So they are wearing football tops it doesn't matter what team or colour," they said on Facebook. Bradley died last Friday following a lengthy battle with cancer, having been diagnosed at just 18 months old. He was regularly a mascot at Sunderland matches last season and struck up a friendship with Defoe during the final few months of his short life, while his fight against the disease touched the hearts of football fans across the UK. Bradley led out England for the World Cup qualifier against Lithuania at Wembley in March and was a special guest at the Grand National. His death prompted tributes from thousands of people from across the world.